Although this salad green is not well known, it is very tasty and grows well in cooler climates, making it a perfect addition to your fall, early spring or even a winter garden. 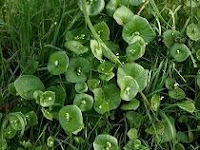 It is also referred to as miner's lettuce. The name comes from the 1849 gold rush of California where claytonia was used as fresh salad greens. Here is how you can add claytonia, this tasty salad green, to your home vegetable garden. 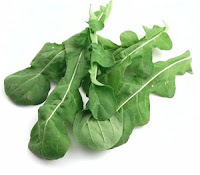 Arugula is a very popular green to add to any salad or as a stand alone side to your dinner or lunch. And who can resist, it is enriched with plenty of Vitamins A, C, K and Folate as well as the nutritional minerals Calcium and Potassium. Its rich peppery taste also makes arugula a good choice to use in pasta dishes. Here is how you can grow some great tasting arugula in your home vegetable garden. Garlic is a great addition to any dinner table, sauces, stews or a number of other tasty dishes in the kitchen. The smell of garlic cooking in a nice sautéed dish makes a meal that much better. Even better than that is being able to grow it your back yard. Think it's tough to do? You'll be surprised. It is easier than you think. Here is how you can successfully add and grow garlic in your home vegetable garden. Cauliflower is part of the cabbage family. 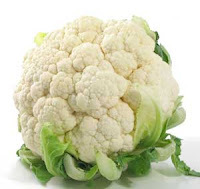 However, unlike the cabbage plant, cauliflower can be easily stressed. If not taken care of properly it will lead to a less than adequate harvest. If you are a fan of cauliflower (which I am once I cover it with melted cheddar cheese), then you should definitely add a head or two to your home vegetable garden. Here are the steps you can take to ensure a good cauliflower harvest in your home vegetable garden. Earworms are also referred sometimes as the fruit worm. They look like caterpillars and can grow over an inch in length. Their color range can be green, brown, yellow or tan and have black or brown stripes on their sides. They lay their eggs in the spring then continue to eat the silk of corn before it gets to the actual ear. However, this pesky insect does not just limit itself to corn. It also goes after beans, peas, peppers, potatoes, squash and tomatoes. Melons aren't vegetables of course but that does not mean you can't add a few varieties to your home vegetable garden. Melons range from cantaloupe to watermelon and honeydew and many other varieties in between. Most grow on vines, so they do take up some space if you do not put the time in to have them grow vertically up a trellis. If you are willing to either put the time in to direct growth vertically or are willing to part with your gardening area, melons can add some great tasting produce just a few feet from the kitchen window. Here is how you can successfully grow melons in your own home vegetable garden. Cabbage is one of those vegetables that you do not normally think of growing in your home vegetable garden as it is not necessarily one of the most popular vegetables to grow. However, if you are a fan of cabbage, like me (love the wife's stuffed cabbage recipe), then adding a plant or two in the home vegetable garden is easy to do if you are willing to put in a little extra care. 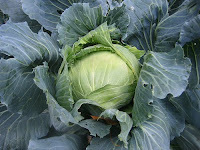 Here is how you can grow cabbage in your home vegetable garden. Brussel sprouts are a great vegetable to add to anyone's garden. They do well in a variety of temperate climates, so regions where cold weather sets in, brussel sprouts will do just fine.